Over the span of two decades author, columnist and speaker Carol Bradley Bursack cared for a neighbor and six elderly family members. Because of this experience, Carol created a portable support group – the book “Minding Our Elders: Caregivers Share Their Personal Stories.” Her sites, www.mindingourelders.com and www.mindingoureldersblogs.com include helpful resources as well as links to direct support.. Carol’s newspaper column runs weekly in print and online, she speaks at workshops and conferences and has been interviewed by national radio, newspapers and magazines. Carol writes on caregiving and senior issues for several national Web sites. She is a contributing author to "Dementia: Frank and Linda’s story: New approaches, new understanding, new hope" (Lion-Monarch, March 2010). Devlyn Brooks doesn’t profess to be an expert in elder care; nor does he profess to be an expert in child care. But he is earning his practical PhD in both a little each day, raising two boys as a single father with his mother as his live-in roommate. The Brooks household typifies today’s three-generational home, complete with all the benefits and all the challenges. In his professional life, Brooks is a newspaper editor, who for 12 years has chronicled the growth of his children in regular newspaper columns. A year and a half ago he took it to another level, creating his “Stop Looking at Your Brother” blog, which chronicles the life of a single dad, who lives with his two children, his nephew and his mother. Brooks also has written freelance stories for regional and national publications and websites in his 15 years in journalism. Drawing on over 30 years caring for and meeting with older patients and their families in family kitchens and living rooms, in assisted living apartments and nursing home rooms, and in hospitals and his medical offices, Dr. McCullough speaks with a voice of experience and compassion. A Harvard College and Harvard Medical School graduate and a family physician / geriatrician and a Dartmouth Medical School faculty member, his advice on eldercare issues is shared in his ground-breaking book, My Mother, Your Mother: Embracing “Slow Medicine”, the Compassionate Approach to Caring for Your Aging Loved Ones (HarperCollins, 2008). He is credited by the New York Times with originating the concept of Slow Medicine (www.MyMotherYourMother.com), a philosophy and practice of quality care for elders in their over-80 years. His work has generated interest throughout the U.S. and in Canada, Asia and Europe. Watch for his ElderCarelink Question and Answer sessions. In 2008, Isabel left a job as Human Resources Director, Office of the Texas Governor, to become a full-time, stay-at-home Caregiver to her 84-year old Mother. Isabel's career includes Assistant Director of Volunteer Services, Beth Israel Medical Center, New York City, Manager of Employment, Norwalk Hospital, Connecticut, and 20+ years of HR expertise, including Americans With Disabilities Act (ADA), Family and Medical Leave Act (FMLA) and Workers' Compensation Manager. Isabel worked in HR at Marriott International Headquarters, is fully bilingual in English and Spanish, and has been a patient care volunteer for the American Red Cross overseas. 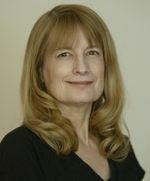 Kathryn Kilpatrick is a geriatric communication consultant and a memory fitness specialist and president of Communication Connection. She has 40 years of experience as a speech and language pathologist working with older adults, their families, and caregivers, primarily in their homes to enhance their communication, safety, and quality of life. She is a national motivational speaker, trainer, and author of over 30 products which provide conversation starters, reminiscence activities and an intergenerational storytelling booklet. Kathryn has many brain fitness activity workbooks and recently took her popular Walking the Path to Memory Fitness One Week at a Time and paired it with one hundred Brain Teasers to create a Memory Fitness Toolkit. Susan Lanza works as a long-term care administrator, consultant, author, speaker and has been part of the health care community for 30 years. She also owns her own publishing company called Buttonberry Books which has published the highly successful book series Nurturing Nuggets. Her previous experience includes the development of a successful dementia special care unit that received acclaim in Advance for LPN magazine and The Journal of Dementia Care. In addition, she has authored three healthcare books and is a frequent speaker at conferences nationally and abroad, including the Alzheimer's Association and Alzheimer's Europe. Her blog, The Dementia Caregiver's Toolbox, has received national recognition for its content and she continues to add dementia knowledge to her Dementia Toolbox site. Susan has a degree in Psychology from Douglass College in New Brunswick, NJ.